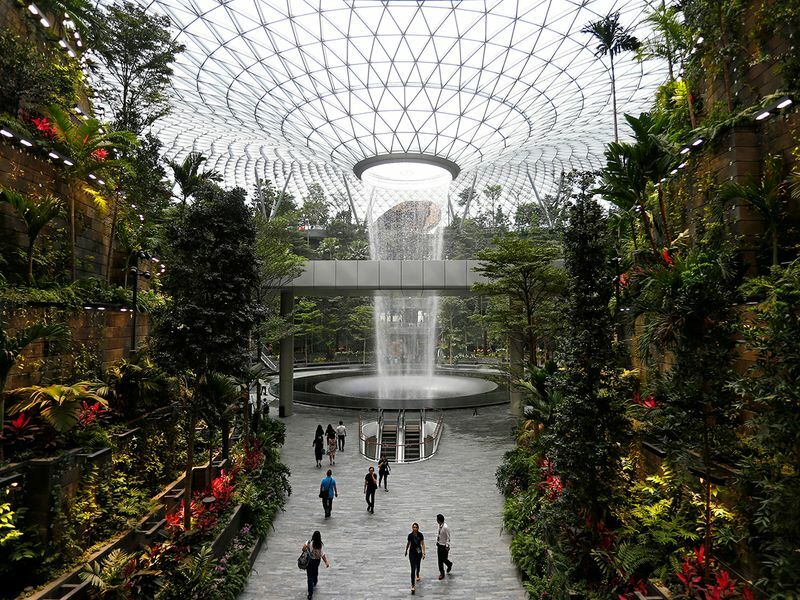 As with new ballparks and malls, adding retail is bound to be an ever-popular move for airport managers looking to maximise their businesses. 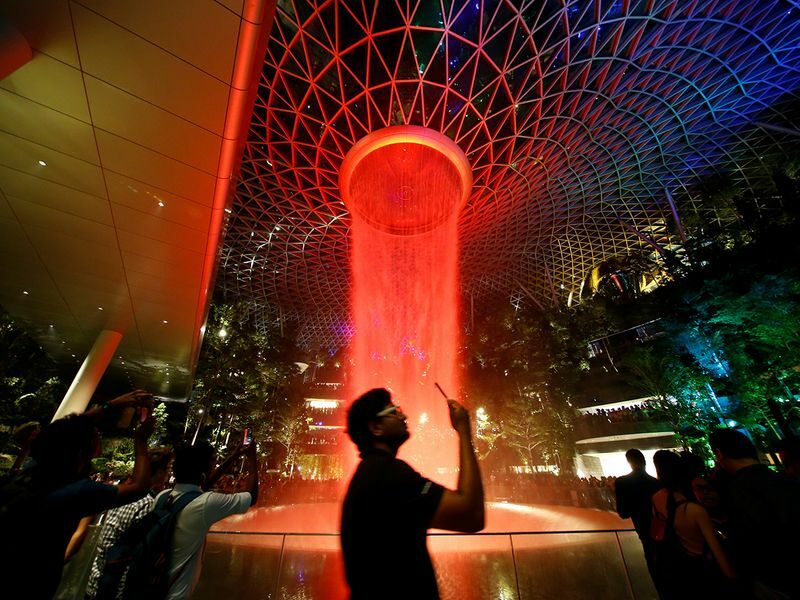 In Singapore, 280 new stores and restaurants share the mixed-use facility that covers 10 storeys — five above ground and five below. 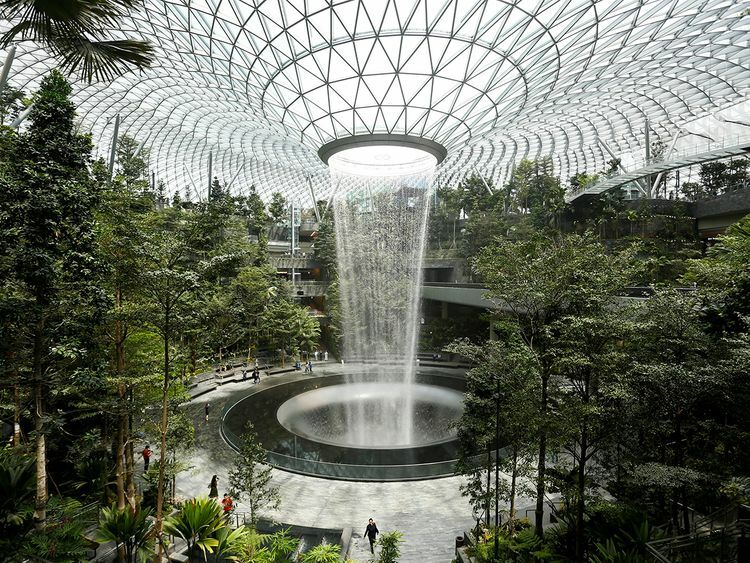 Among the attractions: The Rain Vortex, reportedly the world’s tallest indoor waterfall at more than 40-metre tall and a sure-fire photo/Instagram op; Canopy Park and a 50-metre-long Canopy Bridge, suspended 22 metres in the air, with walking nets, and integrated play areas, including four slides; Forest Valley, a lush green sanctuary that comprises a four-storey garden.